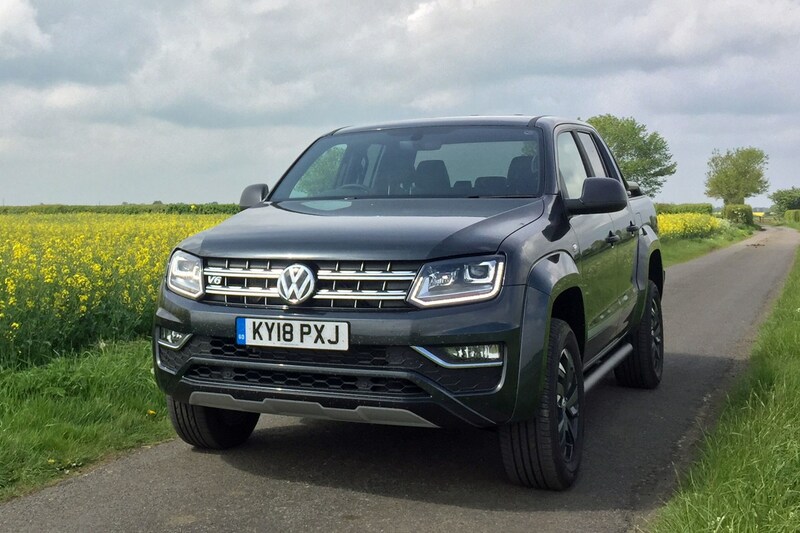 Since first hitting the market in 2011, the VW Amarok has become one of the most popular pickups in Europe, appealing especially to lifestyle buyers but with good working credentials, too. It's certainly one of the posher pickups on sale, with key Amarok rivals being the Ford Ranger, Nissan NP300 Navara and new Mercedes X-Class (rather than the likes of the more workaday Mitsubishi L200 and Isuzu D-Max). 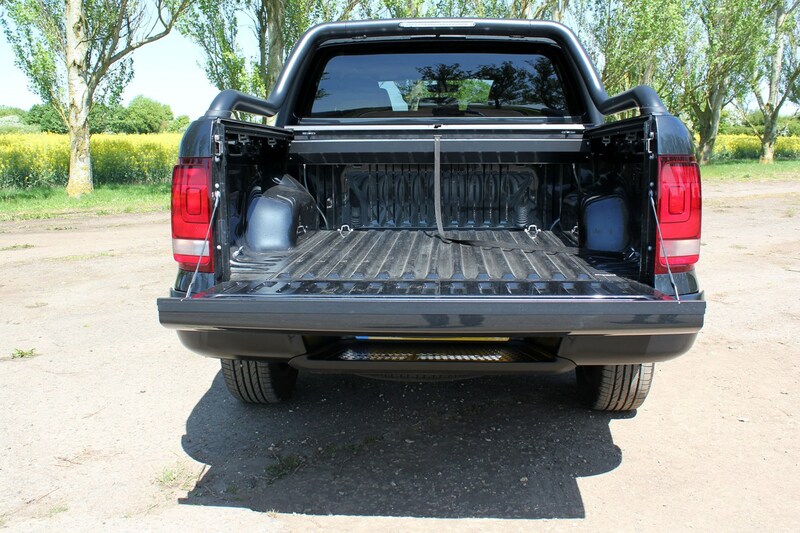 The Amarok is only available as a double cab model, meaning four doors and five seats, but it has one of the largest load areas in the double cab class and a very high payload of up to 1.1 tonnes. 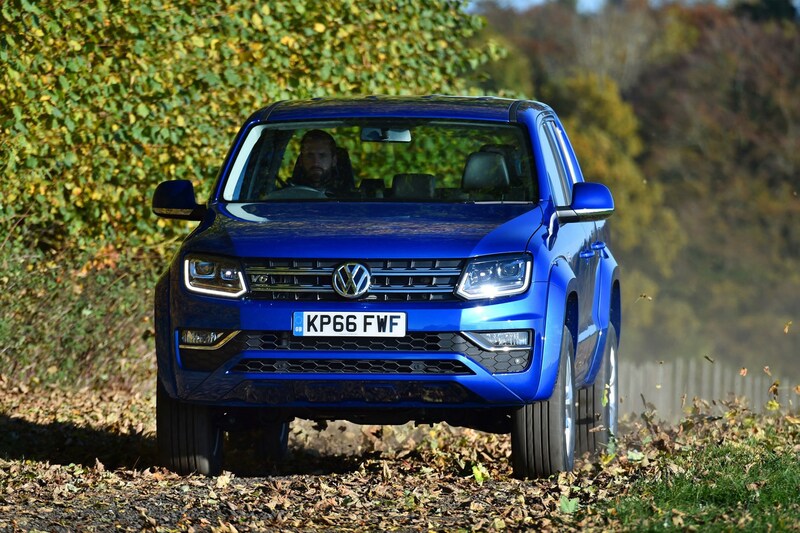 Emphasising this premium positioning, when VW updated the Amarok in 2016 it 'upsized' from the original 2.0-litre TDI four-cylinder turbodiesel engines to a new range of 3.0-litre V6 TDI engines. This move was in complete contrast to the rest of a pickup truck sector that was busy 'downsizing' - fitting smaller engines in an effort to achieve better on-paper fuel economy (despite sales evidence that suggest UK owners prefer bigger engines). 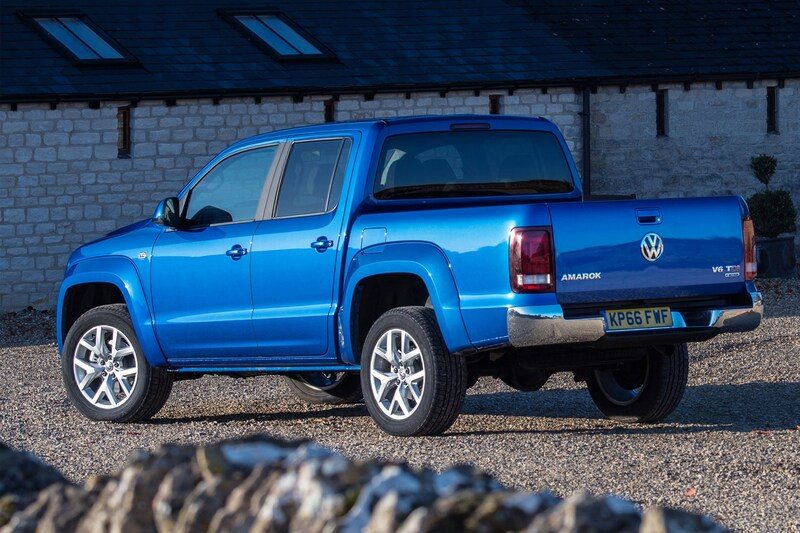 The new V6s help to set the Amarok even further apart from its peers, bringing a real sense of luxury and performance to the driving experience - aided and abetted by improvements to interior quality introduced at the same time. However, even with as much as 580Nm of torque now, it still can't tow 3.5 tonnes - when most competitors now have at least one variant that can. 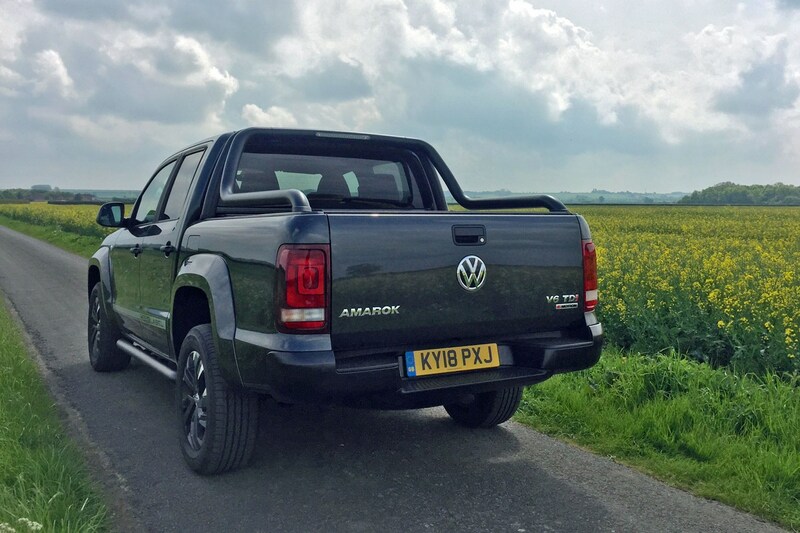 What's the VW Amarok like? 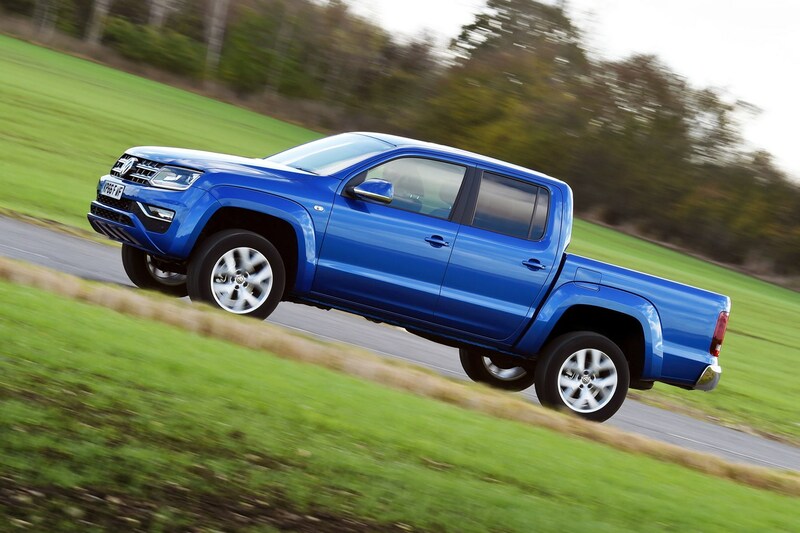 VW's first pickup is a mixture of simplicity and technology, combining an unsophisticated ladder frame chassis that features old-school leaf spring suspension at the rear with state-of-the-art anti-skid control and stability systems that help both on and off road. All versions come with ESC and four airbags as standard, and the Amarok was designed from the ground up to be one of the safest pickups in the segment. But it is also one of the older designs on sale now, so most rivals have caught up in this regard. 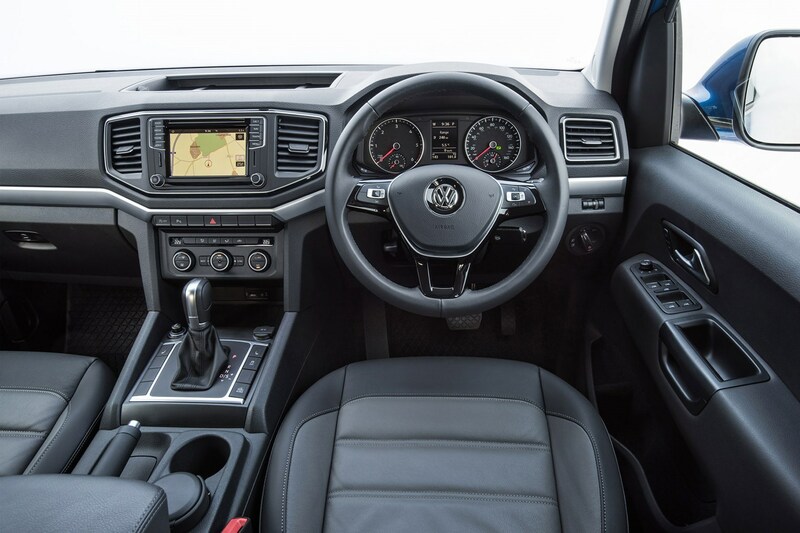 The Amarok does have a very car-like interior - though some still moan that even after the 2016 update the plastic quality could be better, this pickup sets the benchmark for comfort, and is very easy to drive on and off road. The latest engines are excellent, and most models are fitted with an automatiic gearbox, which works well. 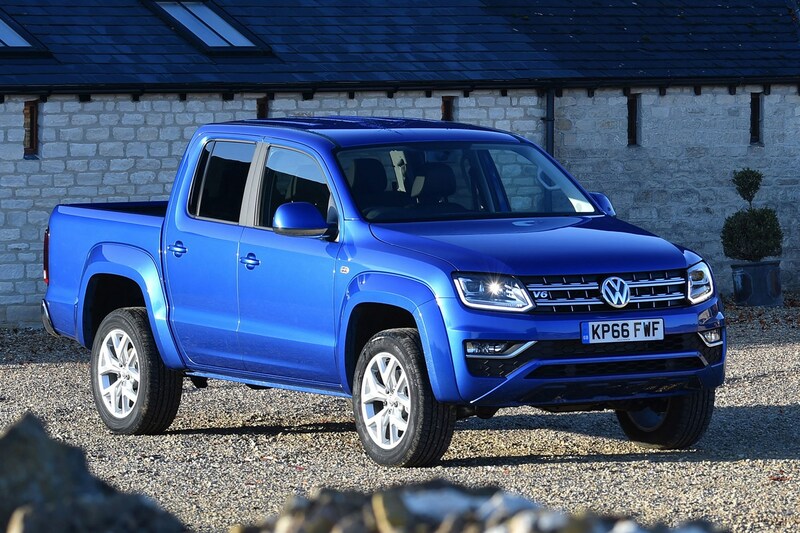 The VW Amarok is at the more expensive end of the pickup market, and perhaps isn't as suited to a hard working life as some rivals. But it is exceptionally comfortable, well-equipped and has an engine line-up that's the envy of the entire segment. Well worth considering if you're buying a pickup to use every day - especially if it's to be a family vehicle. Few rivals will be such a pleasure to live with. 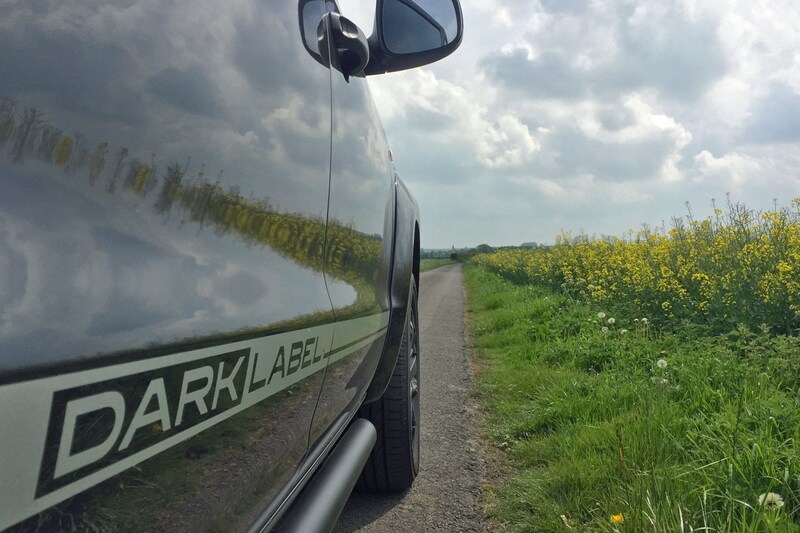 If you're coming to the Amarok from a conventional car - or SUV - you might be in for a bit of a shock. While there are very few pickups that drive better than this Volkswagen - only the Mecedes X-Class, Nissan NP300 Navara and Ford Ranger really run it close, and then for different reasons - you're unlikely to find the Amarok as precise or as comfortable as a traditional passenger vehicle. However, things do seem to have improved with the introduction of the 3.0-litre V6 in 2016. Not only do these engines offer supreme power in the pickup truck segment (at least until the X-Class V6 arrives in 2018), the suspension is remarkably supple now as well. It's almost like driving a giant Golf. Almost. 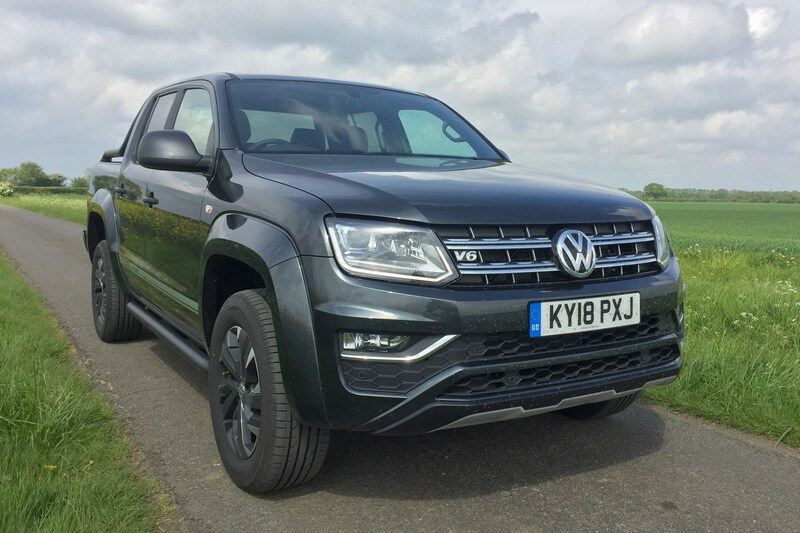 Initially the Amarok V6 was only available in the UK with an enormous 224hp and 550Nm, but VW subsequently introduced a 204hp / 500Nm model, and then in February 2018 an entry-level 163hp / 450Nm V6 joined the range. An even more powerful 258hp Amarok V6 is set to join the range later in 2018 as a direct competitor to the range-topping Mercedes X-Class V6; we've already driven it extensively - click here to read our feature drive in Oman. The previous 140hp, 163hp and 180hp 2.0-litre engines are unrefined and coarse by comparison, and occasionally feel anaemic. But go for the 180hp twin-turbo unit, and with a heavy right foot performance is up to the task. Most models are fitted with an eight-speed automatic, especially following the introduction of the V6 - though a six-speed manual is available on some versions (and was re-introduced for the V6 in November 2017). 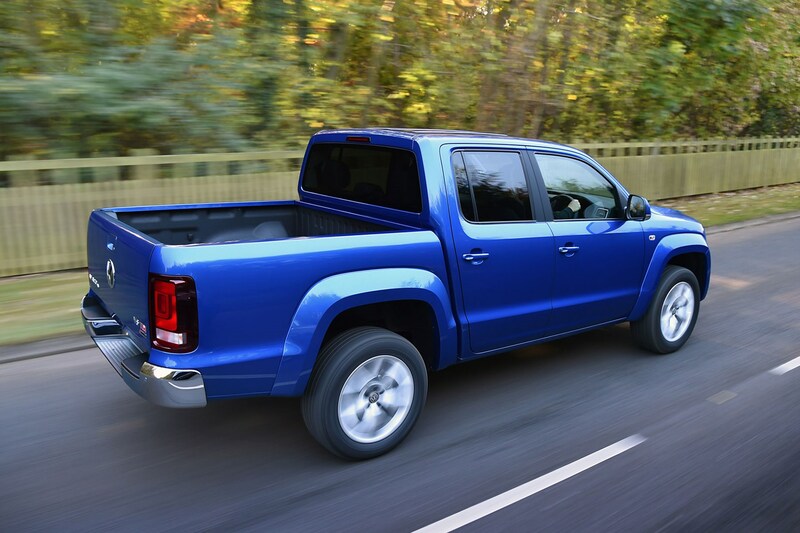 Do go for the auto if you can, because it's smooth, decisive, makes the Amarok quieter on the motorway and comes with a more sophisitcated four-wheel drive system. 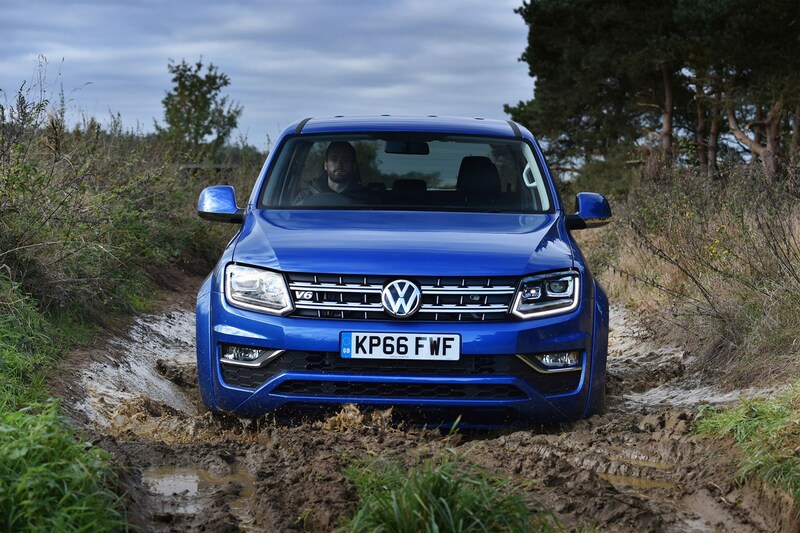 Despite having the lowest ground clearance in the pickup sector, the Amarok is remarkably capable off-road - thanks not only to the standard 4Motion four-wheel drive but also a whole suite of electronic assistance system. How many buyers will want to take such an expensive pickup into the scenary is an entirely different matter, however. If you do, this is one area where the V6 with the manual gearbox makes more sense, as its selectable four-wheel drive system offers low-range gearing for greater control in extreme conditions. 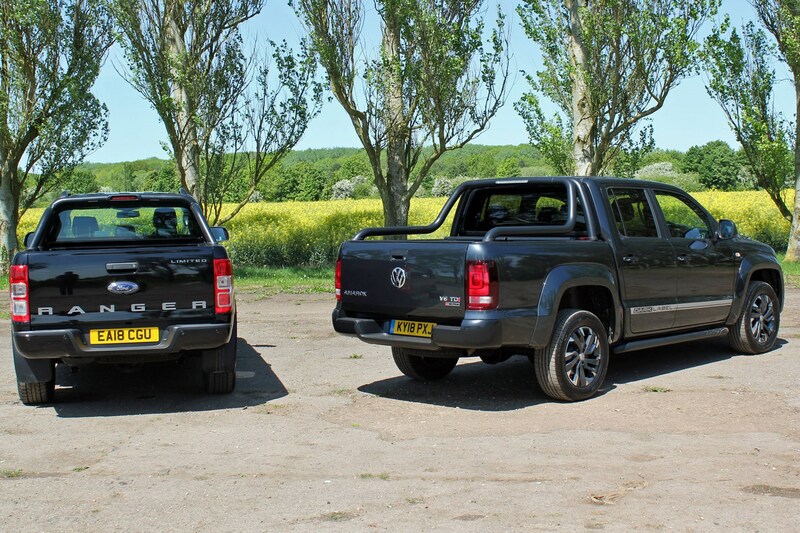 As far as pickups are concerned, the VW Amarok and the Mercedes X-Class are the closest thing to luxury you can get. 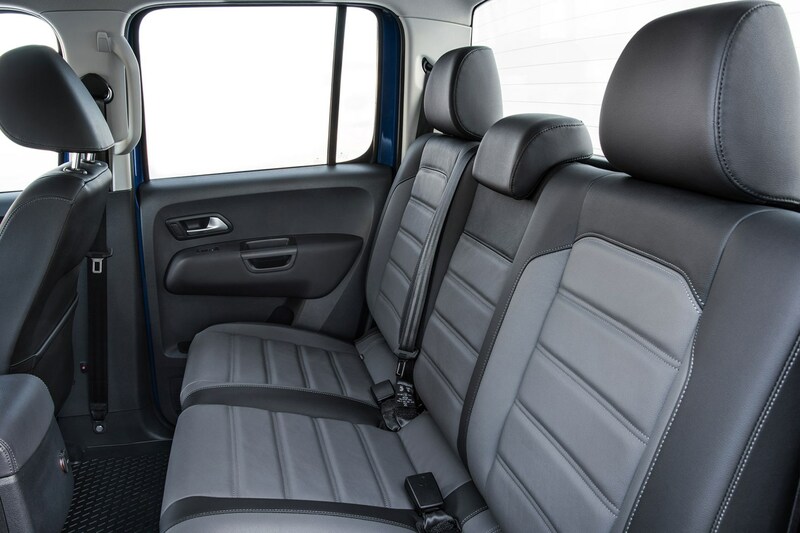 Despite the evidence of the odd bit of hard plastic, the Amarok shames most of its rivals for cabin quality, and there are none of the body creaks, groans and rattles many commercial vehicles suffer. From late 2012 onwards, buyers could opt for new features including Bluetooth phone connectivity, front and rear parking sensors, heated washer jets, tachograph preparation and cornering foglights. The 2016 update (above) introduced a new 14-way adjustable driver’s seat, Climatronic climate control and a steering wheel equipped with paddleshifters on automatic models. The infotainment systems were also upgraded in 2016. 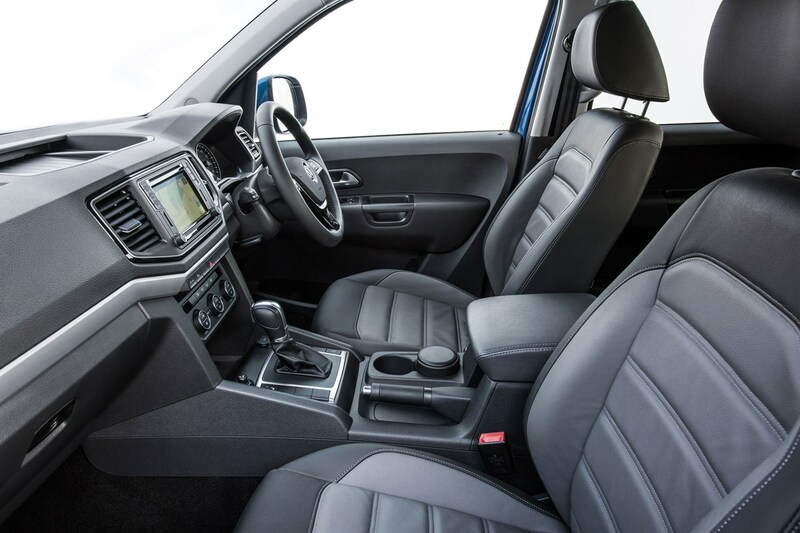 A new 8.0-inch touchscreen display can now be specified which includes App Connect smartphone integration, voice-control and a new Discover Media satellite navigation system that comes with DAB radio as standard. Fuel economy increased only slightly during the 2016 upgrade to 37.2mpg at best. 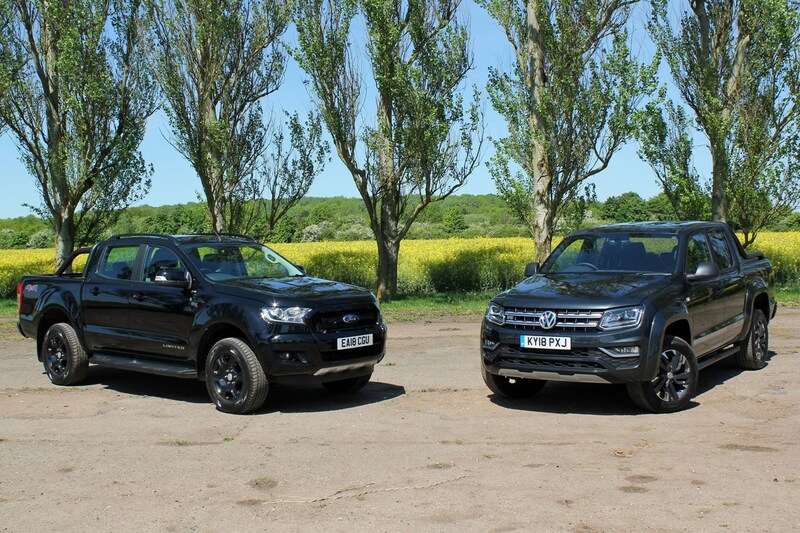 This is poor when compared with modern rivals (42-45mpg is now the norm), although the Amarok is significantly more powerful. Previously, the 2.0-litre engine offered a significant advantage over the opposition's larger engines when it came to fuel economy. 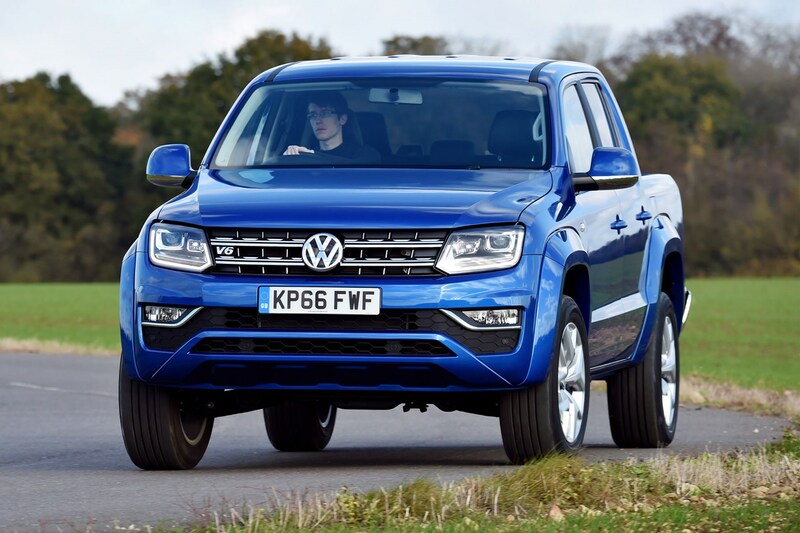 Clearly VW has decided this isn't a priority for its buyers - which is probably true when you consider the initial purchase cost of the Amarok. 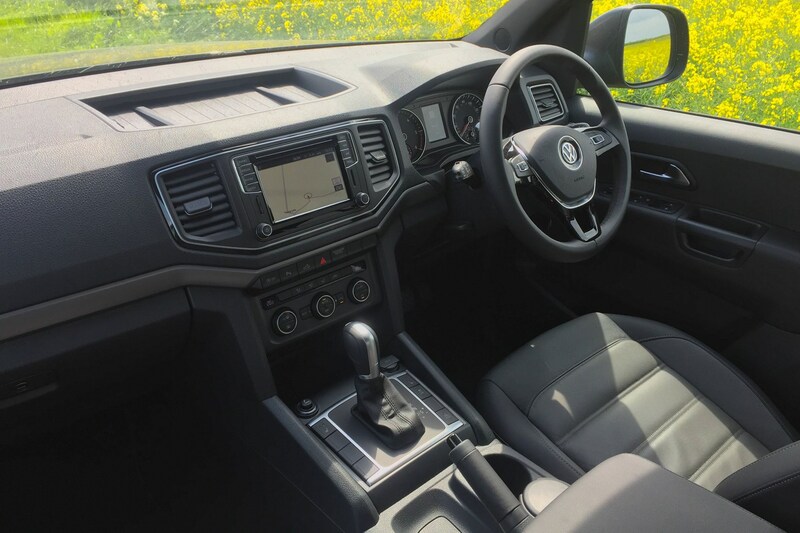 The Amarok's standard trim levels are Startline, Trendline and Highline, but it's not unusual for VW to also offer limited special edition models, with examples including Aventura, Canyon and Dark Label. 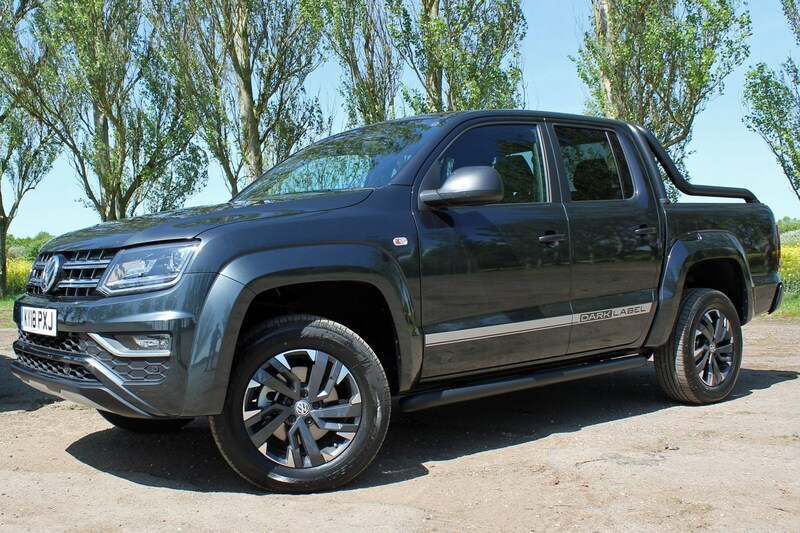 Volkswagen Amarok reliability was called into question in late 2013 when around 4,000 examples in the UK were recalled due to concerns over potential fuel line leaks. There have also been some issues with the 2.0-litre engines elsewhere in the VW vans range. There's not much data to go on for the V6 just yet, but the bigger engine shouldn't feel the strain in the same way as the older four-cylinder alternatives. 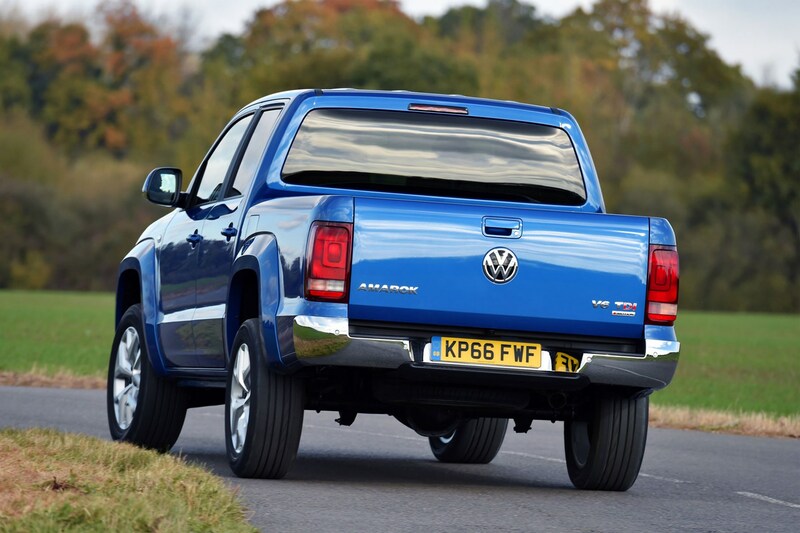 In May 2018, VW also introduced a free MOT insurance scheme for its vans and pickups aged up to 10 years old. The Amarok has always been lauded for its safety systems and all models come with four airbags plus electronic stability control (ESC) as standard. The ESC also helps trailer stabilisation and even works off road to maximise traction. The selectable 4x4 versions with the manual gearbox also gains hill hold and hill-start assist, plus an off-road mode that recalibrates the ABS to shorten stopping distances on unsealed roads. To cope with the bigger V6 engine, more powerful disc brakes were fitted all-round in 2016 along with VW's Post-Collision Braking System (applies the brake after first collision to minimise the impact of secondary hits), road-sign recognition and lane-departure warning system. 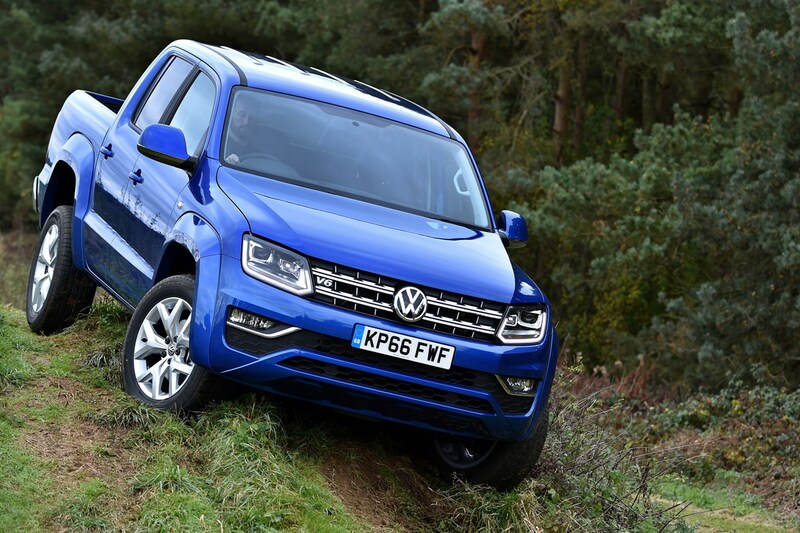 Which Volkswagen Amarok is best for me?